since last update i can't open the app. it just enters and then, when it goes to the login bar, the app closes itself. Just looked at your account, and it seems that you were able to log in this morning. Is that correct, or are you still unable to get in? 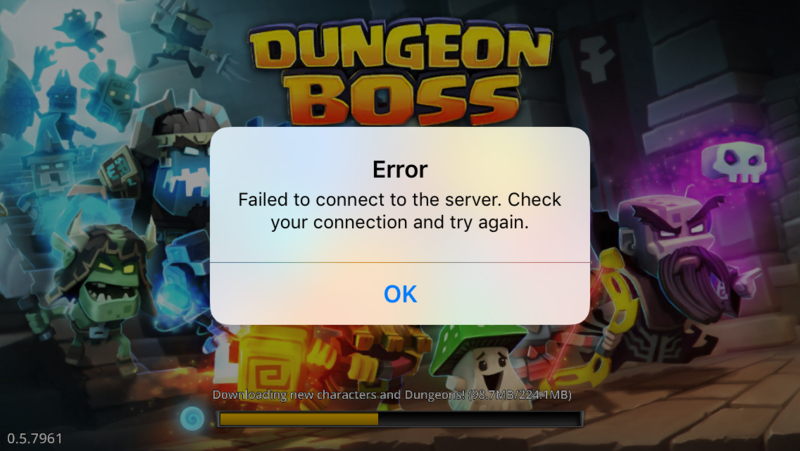 Having this issue as well - getting Error: Failed to connect to the server. Check your connection and try again. Press OK to retry"
Figures I finally get back in the forums and my DB login is busted. OK, update - My Kindle keeps doing this, IPhone version seems to work fine. Same here. Several hours already. As I have not logged in since reinstalling the app I guess it's not an issue with my account. This is an issue with not all devices receiving our update just yet. We are working to push things through. Now, after clearing up all application data, I can login again. same issue, just went to google play, clicked update, now im playing. everytime i want to play the game i have to re-install it..
can you fix this guys ? Since the update the app dont load, the msg is that the game stopped. I tried to reinstall the app, clean the cell cache, delete temp files, but nothing works. Please undo the updates, until these problems are solved. Thank you.